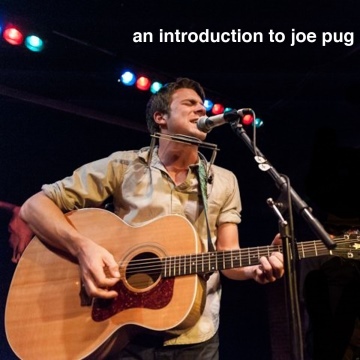 After dropping out of college the day before his senior year, Joe Pug moved to Chicago and started writing the songs that would eventually become the Nation of Heat EP. Three years later, with tours with Josh Ritter, M. Ward and Steve Earle to his credit, his thoughtful, moving and literate songs have put him at the forefront of the indie-folk movement. He has also earned a reputation for being a powerful live performer, which has only grown following his appearances at festivals like Lollapalooza, Bonnaroo, The Newport Folk Festival, Telluride Bluegrass, and the Cambridge Folk Festival. His first full-length album, Messenger, was released in 2010 on Lightning Rod Records, and the follow up "The Great Despiser" was released in 2012.